24 Season 7 episode 10 (5:00 PM – 6:00 PM) high-res promo pics featuring Jack Bauer chasing after Dubaku, Erica and Sean Hillinger in the FBI, Chloe O’Brian and Larry Moss. 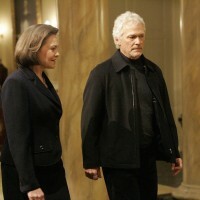 24 Season 7 Episode 13 (8:00 PM – 9:00 PM) promo pictures. Jack Bauer mourning Bill Buchanan’s death, interrogating Ryan Burnett, and Olivia and Allison Taylor reconnecting. 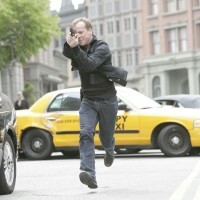 24 Season 7 Episode 19 (2:00 AM – 3:00 AM) Promo Pics. Jack Bauer confronts Tony Almeida at gunpoint. High-res 24 Season 7 Episode 6 (1:00 PM – 2:00 PM) promotional pictures. 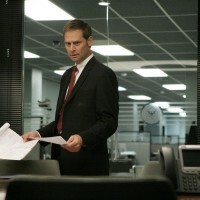 Henry Taylor collapses, Jack Bauer and the Matobos meet and form a plan.